On February 22, 2009, Seether and Black Stone Cherry played Bogart’s in Cincinnati. The opener on the bill that night was a little known band by the name of Halestorm. While the band’s time on stage was brief that evening, the impact they made off the stage can still be felt today. After their set, the members of Halestorm hit the Bogart’s floor meeting the crowd and selling copies of their upcoming, self-titled, debut album for $5. While Seether and Black Stone Cherry both rocked as always, it was Halestorm that people left talking about that night. Fast forward seven years later to this past Friday night at the Taft Theatre in Cincinnati, OH. 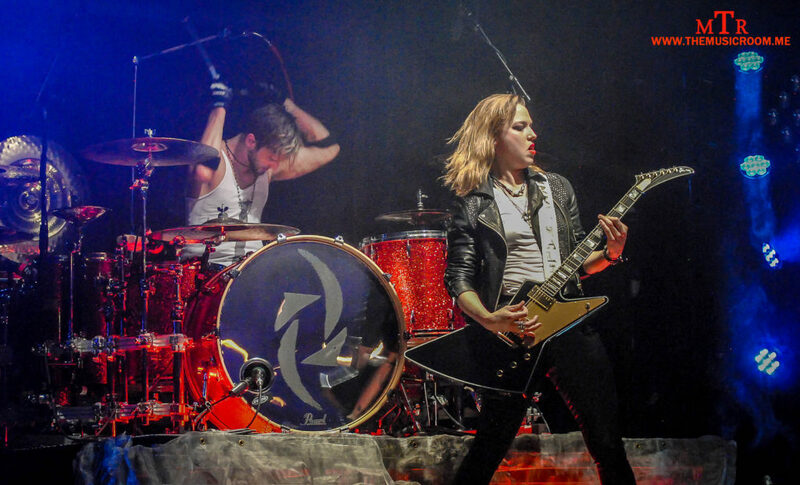 No longer was Halestorm opening the evening with a thirty minute set. On this night they were the main attraction…as they are most nights these days. Now on their third album, “Into the Wild Life,” Halestorm played to a near, sold out crowd ranging from teenage girls to old guys like me. 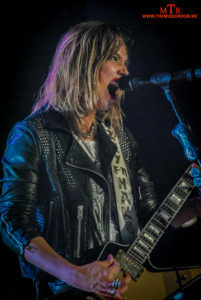 Lead by front woman Lzzy Hale, the band delivered a sixteen song set that showed growth and maturity over the course of their three albums. 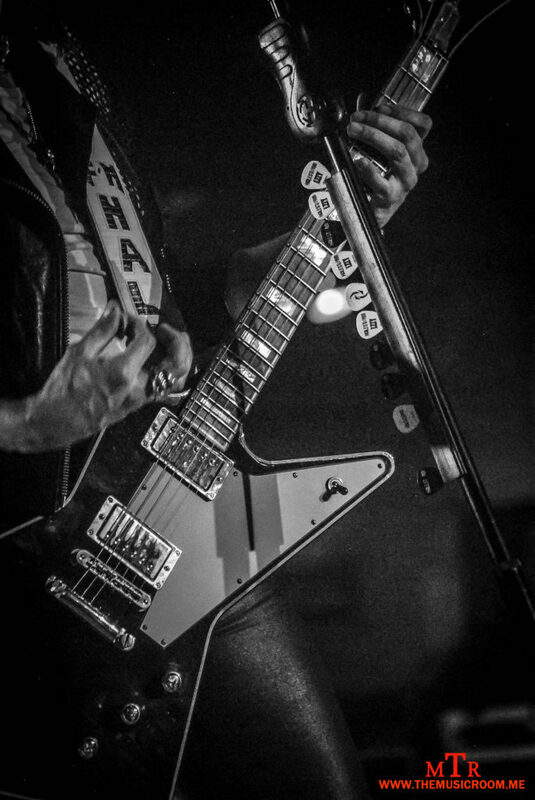 Hale showed that she can hang with the best of the front men out there today as she switched between her Gibson Explorer guitar to a custom Halestorm piano, all the while holding the crowd captive with her every move. One of the more powerful moments came as Lzzy addressed the female members of the audience before she started the song, “Dear Daughter.” Hale declared that there is nothing that the females of the world can’t do, and if anyone tells them any differently you can send them her way. 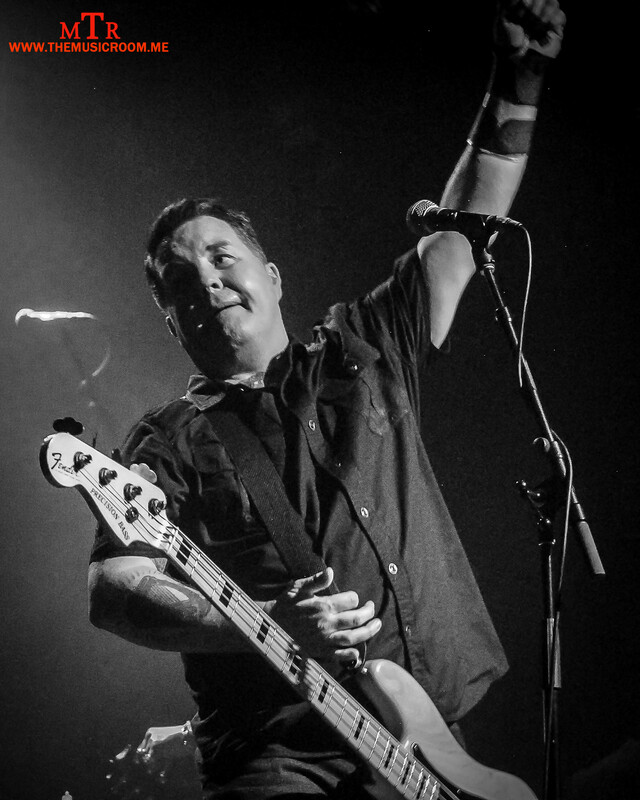 In watching the hour and a half performance, it was clear that in the years of playing twenty minute sets and pounding the venue floors selling cds that the band earned the place where they are now. Through the years of paying their dues and climbing the ranks, it is easy to see that the success they have today is not taken for granted. A perfect example of this came early in the night when Lzzy Hale made mention that the band’s debut record just celebrated its seventh birthday and was recently certified gold. It doesn’t matter where you are going if you forgot where you came from. Halestorm clearly has not forgotten. Not only did Halestorm deliver an amazing performance, they also showed that they know how to put a great tour together. For this tour, Halestorm brought the Fist Lady of Heavy Metal, Lita Ford out with them, as well as a great new band called Dorothy. 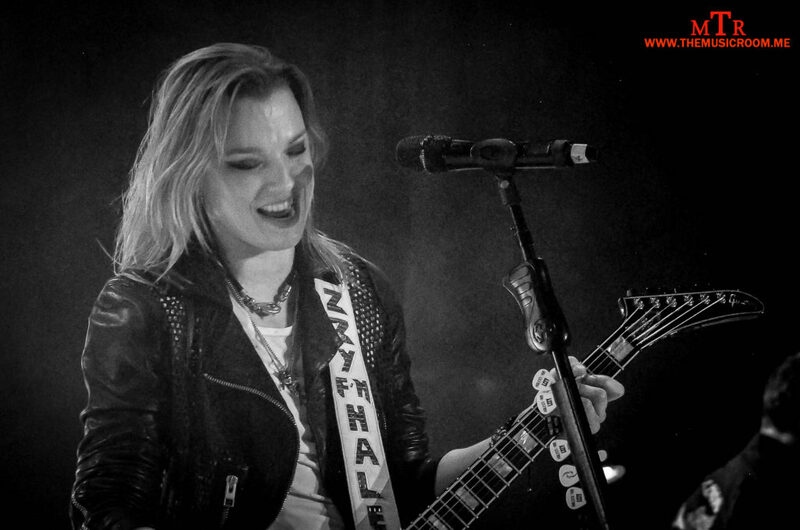 Lzzy Hale has always made her respect and adoration known for her hard rock heroes. 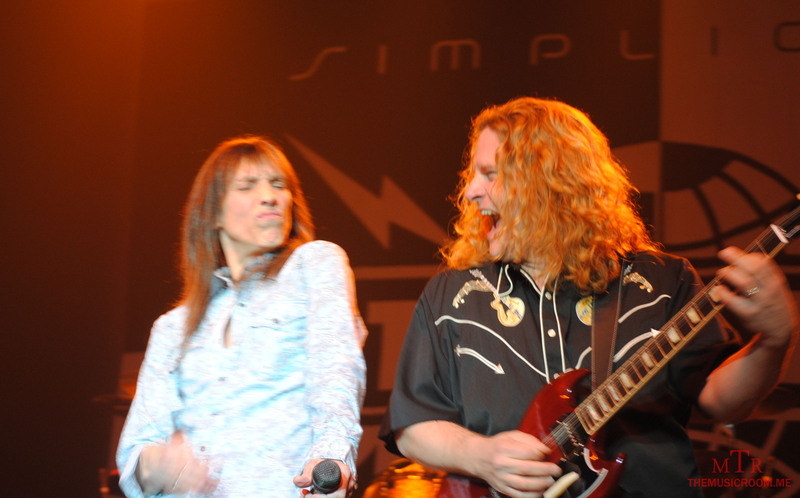 Most notably, Hale has collaborated and formed a deep friendship with Cinderella front man, Tom Keifer. This time around the spotlight was put on Ford as she opened the dates on this tour. 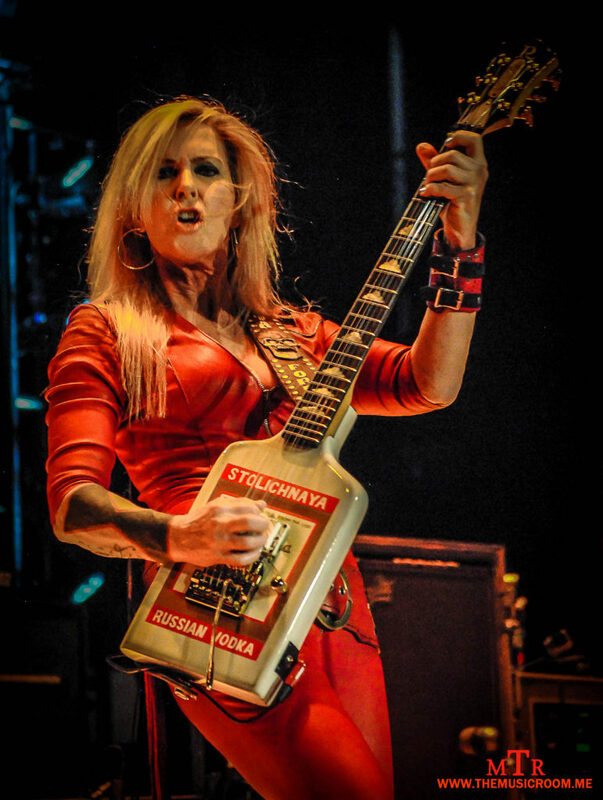 Lita Ford received her first taste of notoriety as the guitarist for the ’70’s girl group, The Runaways, before becoming an icon in the heavy metal world as a solo artist. Ford hit the stage decked out in a red, leather jumpsuit and a Stoli Vodka guitar. From the opening tune, the legend delighted her long time fans and delivered a history lesson to the newer generation who may not be familiar with her legacy. Lita Ford proved that she was no retro act, and that she can still rock with the best of them. Ford’s set was brought to a halt when the singer saw a fan holding up a sign stating that she had battled breast cancer. Lita and the Cincinnati crowd showed the woman some love as Ford declared that the two causes closest to her heart are battling cancer and child abuse. Ford then treated fans to a special treat when she invited Lzzy Hale and Dorothy Martin out for a girl power rendition of The Runaways classic, “Cherry Bomb.” Then Hale and Ford donned double neck guitars and played Lita’s classic, “Close My Eyes Forever,” which Ford made famous with her duet with Ozzy Osborne. There is no doubt that Lita Ford pleased her long time fans, and made a whole new generation of new ones. 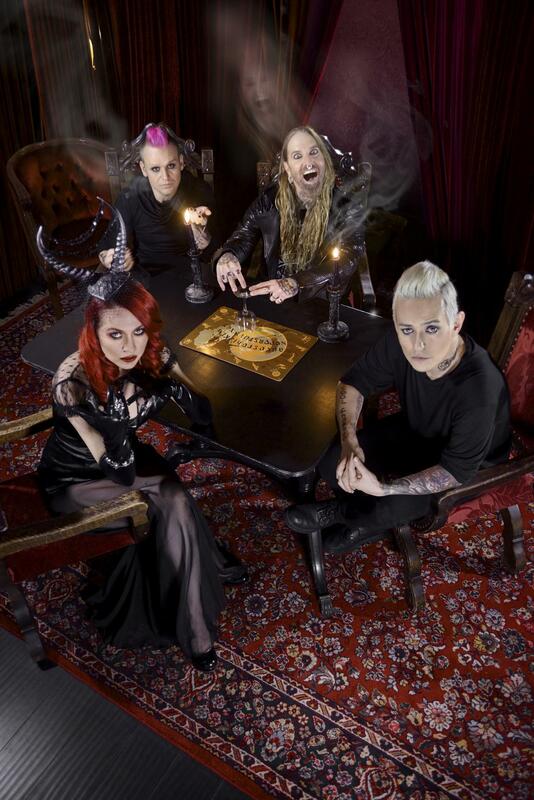 While Halestorm tipped their hat to the past, they also made sure to open the door to the future by inviting a new band by the name of Dorothy to play the spot that they had played seven years ago with Seether and Blackstone Cherry. I was unfamiliar with Dorothy as the band hit the stage, but by the end of the first song I was was hooked. Lead by charismatic front woman Dorothy Martin, the band delivered a set of sonic, blues driven rock n’roll. The Los Angeles based quartet managed to deliver a dirty sound in a nice, tight package. The group is preparing to release their full length debut album, “Rock is Dead,” on June 24th. In a brief opening set, the band proved that they have the sound and the work ethic to make an impact on the rock n’ roll world. In case you missed Dorothy on their run with Halestorm, you can catch them as they open for The Struts this summer.